A Cleveland native is using hologram technology to make a national, even global, impact from a Cleveland warehouse — it’s just one of the ways embracing technology is making A Better Land. CLEVELAND — A Cleveland native is using hologram technology to make a national, even global, impact from a Cleveland warehouse — it’s just one of the ways embracing technology is making A Better Land. Cleveland was recently ranked 12th in the nation for tech job growth, with some of the most innovative minds in the nation working in Cleveland right now. One of those minds belongs to Joel Solloway, a Cleveland native who is using hologram technology to bring a new dimension to international history. "My thing is not so much to stay current. My thing is to stay way ahead of everybody,” Solloway said. “My passion is innovation." EventWorks4D is the first and only company of its kind in Cleveland. While you may think you’re unfamiliar with Solloway’s work, if you’ve been on YouTube in the last few years, chances are you’ve already seen it. Perhaps their most known work was when Tupac Shakur came to life at the 2012 Coachella music festival as a hologram. “Our technical director Stuart McClellan actually staged that,” Solloway said. Cleveland’s EventWorks4D, built inside an unassuming Cleveland warehouse, is dedicated to more than one kind of revival. 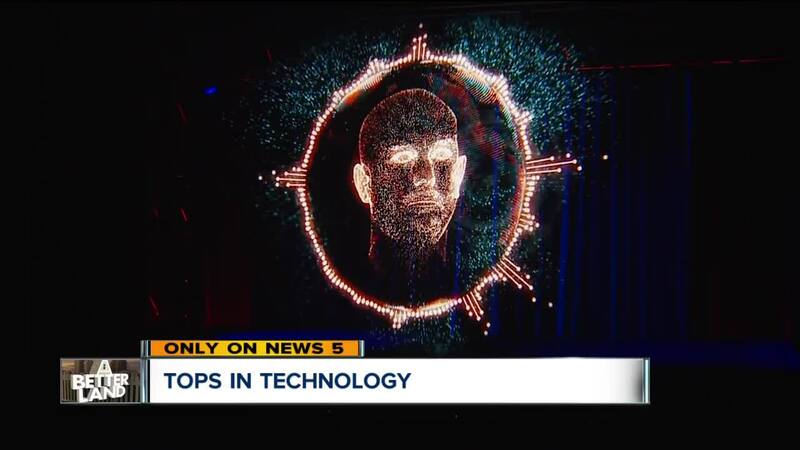 "Our focus now is taking holograms, not only as an entertainment type of visual, but as an educational tool,” Solloway said. The company is using hologram technology to keep Holocaust survivors alive. "They are in their late 80s and 90s, they won't be here forever,” Solloway said. Combining natural voice recognition with hologram tech, they're helping folks across the country not only meet these incredible people but talk to them, long after they're gone. “We are certainly the first and only holographic technology company to move into the whole artificial intelligence, natural voice recognition platform,” Solloway said. EventWorks4D works with clients across the county and the world, ranging from ambitious projects like working with holocaust survivors to smaller advertising projects. Locally, they've worked with MetroHealth, the Cleveland Clinic and the MetroParks, just to name a few. Learn more about EventWorks4D on their website here.